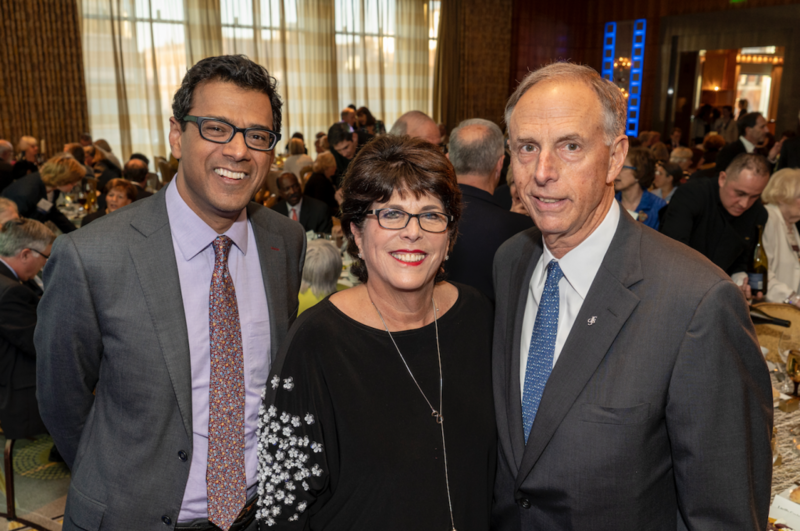 Atul Gawande, MD, MPH (left) was joined by DFS Co-Chairs and Institute Trustees Barbara and James Sadowsky. Gawande shared details from several Dana-Farber-led research studies that are further improving patient care—including quality of life in serious illness—and driving change nationwide. He discussed how quality of life is not in opposition to quantity of life, and that there can be cutting-edge research aimed at advancing both. “Our goal is not a good death or the longest possible life. Our goal is as good of a life as possible all the way through to the end,” said Gawande. Legacy gifts from DFS members have advanced Dana-Farber’s patient care and research initiatives since 1990. The group began with 90 members and now includes more than 1,100 people from around the world. Though much has been accomplished, there is still more work to be done. By joining the DFS, you enable Dana-Farber research teams to test out-of-the-box ideas, build collaborations, and deliver compassionate cancer care for future generations to come. Learn more about the Dana-Farber Society and how you can create an impactful lasting legacy through a planned gift to support Dana-Farber and the Jimmy Fund.